*This post was updated in 2019, click here to find the exact dates for these festivals. To kick off the fall season in New Orleans, the famous Tremé neighborhood hosts its lively annual festival. For an entire weekend you can enjoy the local music and food of this cherished New Orleans neighborhood that people come from all over the world to see. Tremé Fest is a donation-based event, created to raise money for the neighborhood. It is FREE and open to the public. Photo by Yortw via flickr. Laissez les bon temps rouler - for a good cause! The objective of the Gentilly Fest is to produce a festival every October that will donate proceeds to various groups and organizations that will help make Gentilly a better place to live. Gentilly Fest supports the New Orleans Police, Fire, EMS, Children's Music camps and other New Orleans organizations Enjoy live music, delicious food from a variety of local restaurants & caterers, fine arts and crafts and solo friendly fun! Sponsored by the Deutsches House of New Orleans, three weekends of German-food, music, culture and – above all – fun, await you at this annual celebration of all things German. Occurring through three consecutive weekends in October, the dates for this year’s Oktoberfest are Friday and Saturday, October 6, 7, 13, 14, 20, and 21. Previously held just outside of New Orleans in the Rivertown section of Kenner, Oktoberfest has now moved to Deutsches Haus’ new home at 1700 Moss Street in Mid City. The New Orleans Film Festival celebrates cinema like only New Orleans can – with brass bands, second lines, gumbo, and Mardi Gras beads. Hosted by the New Orleans Film Society, the 2017 NOFF is being held from October 11-19 in several venues throughout New Orleans. Over the years the festival has provided an opportunity for new and established filmmakers to premiere their latest works. These works most often include full-length features, shorts, documentaries and animation, as well as music videos. On the second weekend of October, come enjoy the cooler weather with live music, incredible barbecue, and great company. Food and art vendors will congregate between the two stages set up on either side of Lafayette Square. Admission is FREE and open to the public. Various food and craft vendors will be located around the square, including some of the city’s best BBQ. The huge arts market will feature 24 of the best local and regional makers of handcrafted artworks and home furnishings. Hispanic culture has influenced this city's music, food and architecture for centuries. Hosted by the Hispanic- American Musicians and Artists Cultural Association, Carnaval Latino brings in musicians and artists from several Latin American countries to join local talent in celebrating the rich Hispanic heritage of Louisiana. At the festival, you’ll find the best Latin food, drink, music and art, all with the ambiance of the French Quarter’s famous Spanish architecture. Sunday, October 22 will mark the 11th Annual Oak Street Po-Boy Festival, held along a commercial strip of Oak Street in the city's Carrollton neighborhood. The festival is open to the public and solo friendly. Admission is $3 prior to the event and $5 on the day-of. This one-day-only event goes from 10 a.m. to 8 p.m., and features live music, art, handicrafts and – of course – booths offering many different types of po-boys. 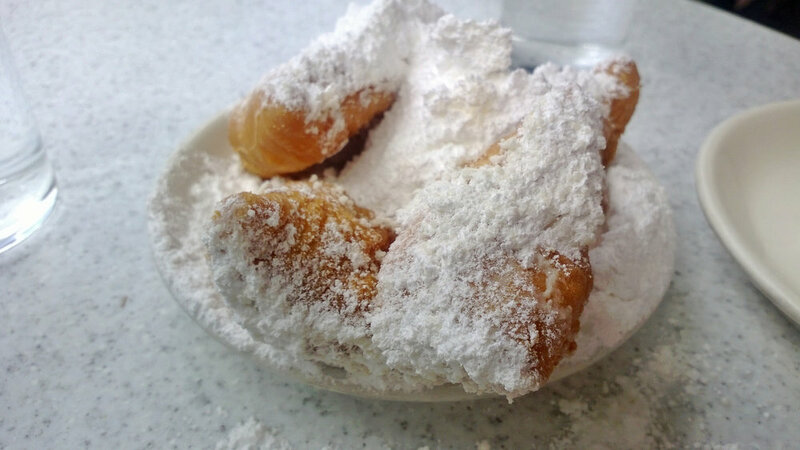 Click here to read our post on what to eat, see and do on New Orleans’ Charming Oak Street! This year’s Voodoo will take place on Halloween weekend, from Friday, October 27th through Sunday, October 29th. The festival, which invites attendees to Worship the Music is held annually at the Festival Grounds in City Park. Four unique performance areas, each of which is enhanced by the use of interactive art, will feature top-tier and innovative artists from a variety of musical genres, all of which reflect the multitude of cultures that define the New Orleans demographic. With Louisiana’s incredible seafood history, it’s no surprise that we have a three-day festival to celebrate this delicious fare. A variety of Louisiana vendors will provide their takes on every type of seafood cuisine – oysters, crawfish, shrimp, and more. From October 27-29, head to Woldenberg Park for three days of seafood, cocktails, live music, and solo traveler fun! Previously held over Labor Day Weekend, the event will now take place from 11 a.m. to 9 p.m. on October 27, and 11 a.m. to 7 p.m. on October 28 and 29. There's a ton going on, so get out there and experience one of New Orleans many festivals solo taking place in October! Click here to check exact dates!